For better part of last century, Bhutan remained in glorious isolation, denying to the outside world, the glimpses into its rich culture, tradition, religion and social-political structure thus adding to its deepening enigma – the last bastion of mythical Sangri-la. 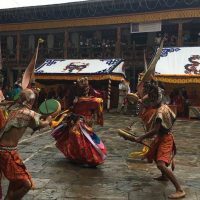 However, this itinerary concedes more than the glimpses rather insights into the undiluted tradition, culture, religious structures, Dzongs, monasteries, natural environment, quaint and serene valleys that has withstood the time and its fury. 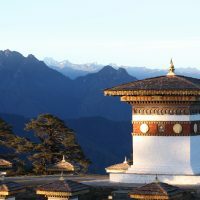 Although for 6 days only, this itinerary cover well three beautiful valleys that constitute western Bhutan.These valleys with varying degree of altitude are generally marked with high passes in between. Starting from the capital, Thimphu, temperate valley – which house many attractions modern as well as historical. After visiting these attractions, we drive east and pause for substantial period at Docula Pass. The pass that separate Thimphu and Paro valleys with Punakha. Savouring the astounding surroundings and peaks of eastern Himalayas. We move downhills and stops at sub tropical agrarian Punakha/ Wangdi valley, the former winter capital of the Kingdom. Thereafter we retrace back and visit emerald -green temperate valley of Paro and at the end hike up to Taktsang (Tiger’s Nest) monastery -the cultural icon of the country. 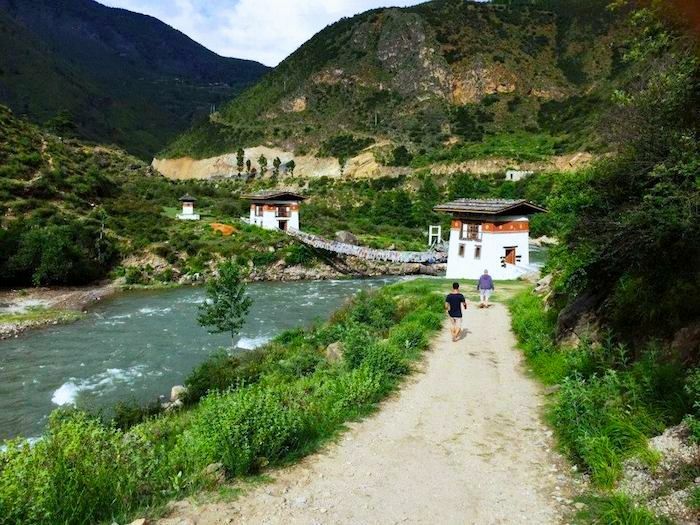 This itinerary can be manoeuvred further for those who wish to spend more time in one place and do not like driving around, we can remove the drive to Punakha. This will allow extra time in Thimphu and Paro. 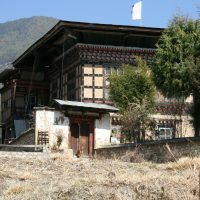 Upon arrival in Paro airport, you are met by Wind Horse guide and a driver and transferred to the hotel.This afternoon visit National Museum, followed by visit to Rinphung Dzong (Monastery/Fortress). Later visit 7th century Kichu Lhakhang (temple) and Dungtse Lhakhang that contains some ancient murals. Stroll through the charming Paro town. After breakfast, drive for about 2hrs till Dochula pass (3,050m). Along the way, we get the glimpse of capital Thimphu as well. At Dochula pass, we take a short break for tea and to enjoy the panoramic views of the eastern Himalayan peaks. Continue our drive, descending about 1500m in two hours through ever changing vegetation into semi-tropical Punakha and Wangdue valley. After lunch, visit 17th century Punakha Dzong, straddling at the confluence of Pho and Mo Chu river. Then drive short distance through idyllic countryside to Khamsum Yuley temple on Nyinzergang hill, that provides good vista of the valley and paddy fields (optional). In Wangduephodrang, visit Richengang village, unique for cluster of houses connected with each other, followed by short walk to visit Chimi Lhakhang temple, dedicated to Lama Drukpa Kunley (1455 – 1529), popularly known as ‘the divine madman, a folk hero and a cultural icon around whom countless yarns of facts and fiction, stories and legends have been spun. Drive back over spectacular Dochula Pass to capital Thimphu, which takes about 3hrs. Late afternoon, visit great Tashicho Dzong and the giant Buddha statue on Kuensel phodrang ridge. 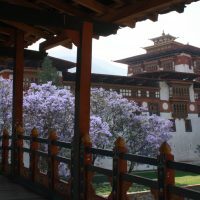 Full day to tour the capital of Bhutan, where there are lots to see and do. 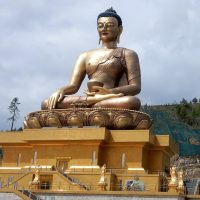 Visit memorial Chorten, Takin Preserve, Zilukha nunnery, a Viewpoint, followed by visit to traditional Art school (also called painting school) and visit Indigenous Hospital. In between, we can stop at the Post Office for stamps or send postcard home. 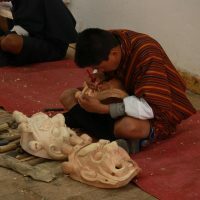 See the textile academy and museum, stroll through the Farmer’s market, peek at Changlimithang ground, where you may see the archery (national game) in progress. Stroll in the core city area, and shop for souvenirs. Drive for about hour to Paro and hike to famous Taktsang (tiger’s nest) monastery (3120m/10,200ft). Visible from afar, this magical monastery clings to a vertical granite cliff 1,000 feet above the valley floor. It is one of the most amazing and important pieces of architecture in Bhutan. 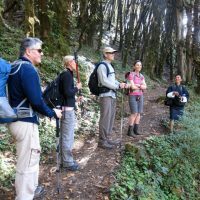 If for some reason, you are not able to hike, your Guide can arrange other interesting alternatives. You can also hire pony for the uphill part, till the first view point & cafeteria but you must be able to walk back downhill. While some will probably not make it all the way to the monastery, however it is worth even to try getting till the first view point. Return to Paro, where we may have more time for stroll around the town. Farewell dinner in the evening. Overnight in the hotel, in Paro valley. After breakfast, transfer to the airport in time for your departure flight. Trip AccommodationBest available tourists standard hotels. Trip SeasonsThrought out the year. Cost start from, USD$ 1350. It is based on number of participants and travel dates. 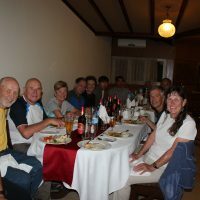 All meals, including evening tea/coffee etc through-out the tour in Bhutan. 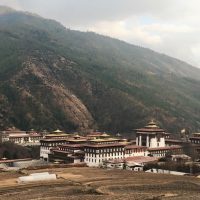 Our Party of 4 visited Bhutan in October 2018. 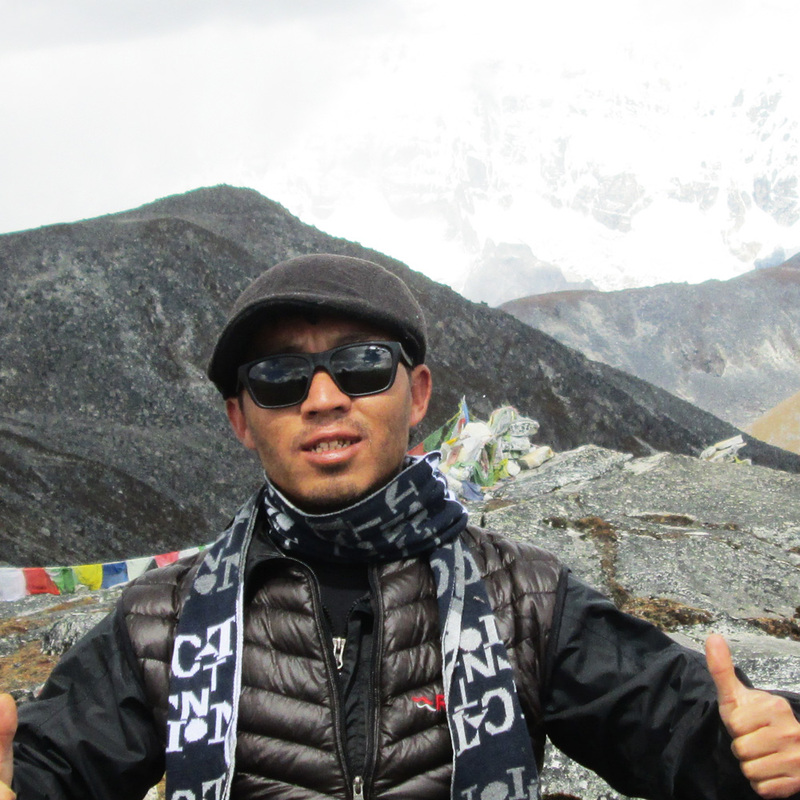 Our Guide, Pema Gyeltshen was always attentive, very punctual & professional and always helpful. 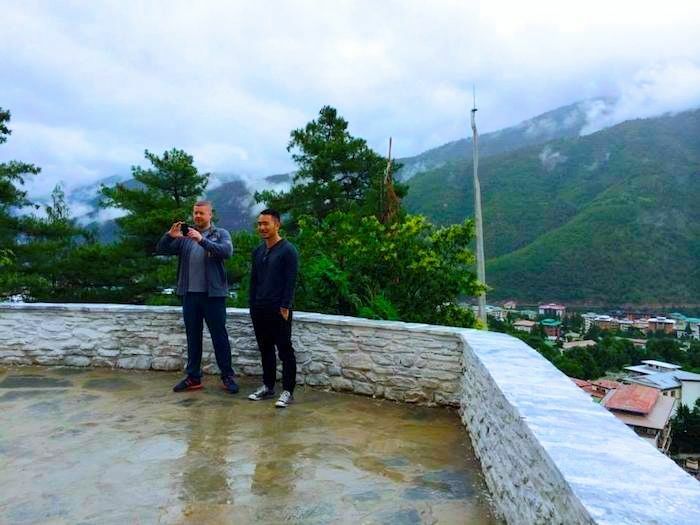 When we went to Tiger's Nest Monastery, his calm demeanour and knowledge of the terrain helped us immensely. We descended when it was dark and it would have been very difficult without his help. Our Driver Dawa Tshring drove long distances carefully & never kept us waiting. We always felt safe with his driving. Thank you for making our trip enjoyable and memorable. Thank you for your mail. We have just arrived in Germany after visiting friend in Delhi for a few more days. The trip was amazing and just what we were looking for. 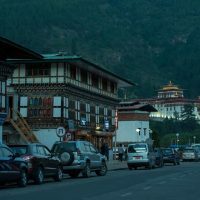 The moment we arrived in Bhutan, it felt like a comfortable bubble because the driver and guide took very good care of us. Both were really excellent. The driver always drove carefully and fully concentrated while the guide was very knowledgeable, flexible and provided just the right amount of information. Personally we enjoyed Bhutan a lot. It is a really nice country. Our highlights were the tiger nest (obviously I guess :) and the monastery in Punakha. Also the hotel in Punakha had a wonderful view whereas the hotel in Thimphu had wonderful amenities and a nice restaurant. We will definitely recommend your agency to others and also Klaus and Verity still plan to go. We reassured them that they should definitely book it through you. My wife Sylvie enjoyed it so much that we will for sure return and see the tiger nest again. Perhaps in a different season. 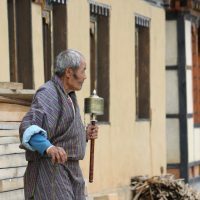 Glimpses of Bhutan – March 2018 I have traveled a lot--around 130 countries--and I almost never use an organized tour. I thought I didn't like them. I have traveled a lot--around 130 countries--and I almost never use an organized tour. I thought I didn't like them. But this trip changed my mind. Mr. Pema, my guide, was impeccable, as was my driver, Mr. Ugee. They anticipated my every need, were beautifully friendly and polite and quite interesting people. I felt like I was traveling with friends. Mr. Pema was very skillful and knowledgeable as a guide to both the sites and the culture, and we had philosophical as well as historical conversations of some depth. Windhorse made all the arrangements painless, kept in touch just enough, and everything, top to bottom, was perfectly done. The wifi in hotel rooms, as it is in many countries with a similar economic base, left something to be desired, but that was outside their control, and I'm sure it will continue to improve as the tourist infrastructure continues to grow. My only wish was that I had been able to stay longer and go further into the country. Trip was better than we could have ever expected. The entire process from the first messages with Bas till the fairwell hugs with tashi and Jigme at the airport and everything in between was beyond words! Tashi as a guide is phenomenal, can’t fault him. And Jigme was his perfect side kick. Nothing was too hard for the boys. Thank you for a wonderful trip! Thank you very very much for arranging our Bhutan trip and assigning Gaki and Tenzin to take us around. We had a wonderful time. From the time we exit the airport that Gaki greeted us with her warm smile, till the time we were dropped off, Gaki provided us with good information about Bhutan and helped us with whatever we needed. She is very capable. 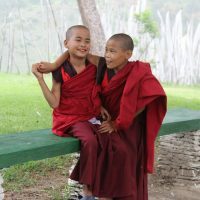 Both Gaki and Tenzin are so sweet, smart, and natural, they often sensed our need without us asking. We were very lucky to have them. I created a small problem right after arriving. Having lost a debit card in Italy, I panicked at an ATM machine about losing my Indian debit card. It turned out that the card was already in my wallet. Gaki and Tenzin helped me so much and I felt I could trust them all the way. We want to thank you for the Uma treat; it was a very good lunch. The view from the dining room is beautiful and calm. We were so pampered in Bhutan! 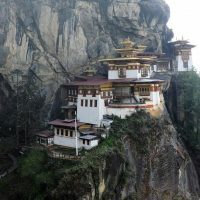 Other than getting to know Bhutan, the culture, the people, and the architecture, we successfully climbed Tiger’s Nest. We want to thank Gaki for suggesting that we started early. It took us 7 hours. We also like to thank Tenzin for giving each of us two poles, it helped a lot. All in all, this is an adventure that we completed without any incidents, for that, we are very grateful. Your travel agency cares about your clients. We certainly will recommend your agency to our friends if they will travel to Bhutan. Thank you very much. We wish you a successful business and we wish Bhutan a prosperous future. Thanks once more. Apologies for taking so long to write this review. We did a tour with Wind Horse in January 2016 (Trip ID 8855) as part of our honeymoon. We had a wonderful time! 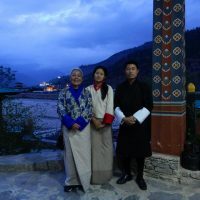 The Wind Horse staff was very helpful, from booking the tour, flights and visas with Ugen in the Minnesota office to working with our guide, Namgyel, and our driver, Dawa Tshering, in Bhutan. Everything ran smoothly from start to finish. Namgyel was a great guide - friendly and full of information and suggestions for extra sights. He was a big part of making our trip so enjoyable. He also had us well prepared for the Tiger's Nest hike by taking us on the Lungchu Tsey pilgrimage the day before, so that our legs were warmed up! We appreciated Dawa's driving skills, especially with the dirt roads from Thimphu to Punakha. 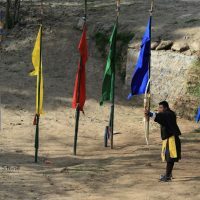 We took many photographs, some of which now hang in our home and others are posted on Facebook (Namgyel can show you). Our hotels were also nice, especially Hotel Druk in Thimphu and Tashi Namgay Resort in Paro, and the food was delicious everywhere we ate. We enjoyed trying the Ema Dahtse at every stop, and salted butter tea at our farmhouse lunch! 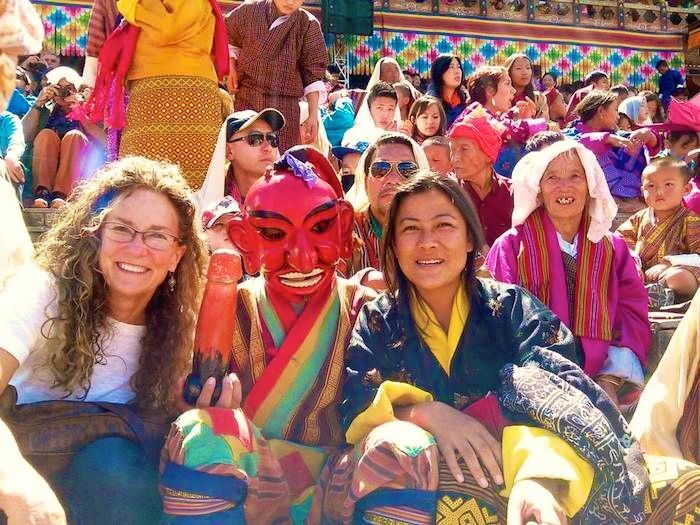 We loved our time in Bhutan, recommend the country and Wind Horse to all, and hope to come back someday soon! Thank you! Anand, Apologies for the belated reply and not having shared a few words re: our experience earlier. After we returned to NYC, we just resumed our routine and our promise slowly faded. Alas, it is not lost. See it below. In a few words, we loved our trip to Bhutan. We went to Tibet in 2013 and could notice that the two regions share a lot of similarities: strong Buddhism faith, the Himalayas, blue never ending sky and humble people. However, the "small things" found in Bhutan made it unique and I dare say more special than Tibet in our view: the architecture (limited Western / Chinese influence), the size of things (smaller rather than large), the people (friendly, wearing their gho and with a different understanding of the world), the valleys and the food. We were there for only five days, but could see a ton of things, mix physical and intellectual activities, and see people minding their own lives in the cities and farms. We struggled to give Namgey any tips on areas of improvement, but the things that come to my mind are: (1) alternative of upgrading to a different hotel (e.g., Uma) without having to incur the whole charge of another booking, (2) more saying on the hotels we will be staying (we really liked them all, but I generally like to have some control over the itinerary), and (3) suggesting to future travelers the hikes going out of Dochu La Pass more often. My highlights are generally tied to physical activities so the Dochu La Pass (the monument, view of the Himalayas and hike), Tiger's nest and the farmhouse. In 10 years, I will remember the three over all else. We truly enjoyed the pleasant presence of Namgey and Sonnal. Overall, we have a number / variety of memories to cherish, some souvenirs to remind us of the trip and we would def. 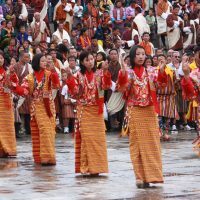 recommend you to any friend expressing an interest in Bhutan. Our trip was wonderful. Perfect. 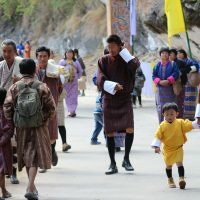 Bhutan was indeed the happiest place on earth and it was truly beautiful. The only thing we regretted was we only had five days. If Bhutan were only a few hours flight from California, we would visit every year! Tashi, our guide, and Tashi, our driver were wonderful, welcoming, friendly, accommodating, and enthusiastic about showing us the beauty of Bhutan. We wanted a balance between nature and culture and Tashi delivered exactly that. The hiking trails that Tashi picked for us were fun and adventurous. Tashi was very welcoming and friendly. On the very last day, he took us to an archery field, he taught us how to do it, and we played for an hour, before we had dinner at his family's house! We took a bunch of videos playing archery and showed them to our family and friends. We really enjoyed our last hike to the Tiger's Nest. It was definitely the highlight of our visit. 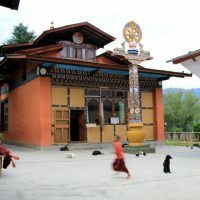 We took hundreds of beautiful pictures of Bhutan and the monasteries. All in all, our Bhutan trip was amazing. We both loved it. We would definitely refer Wind Horse and Tashi to our friends. Thank you! 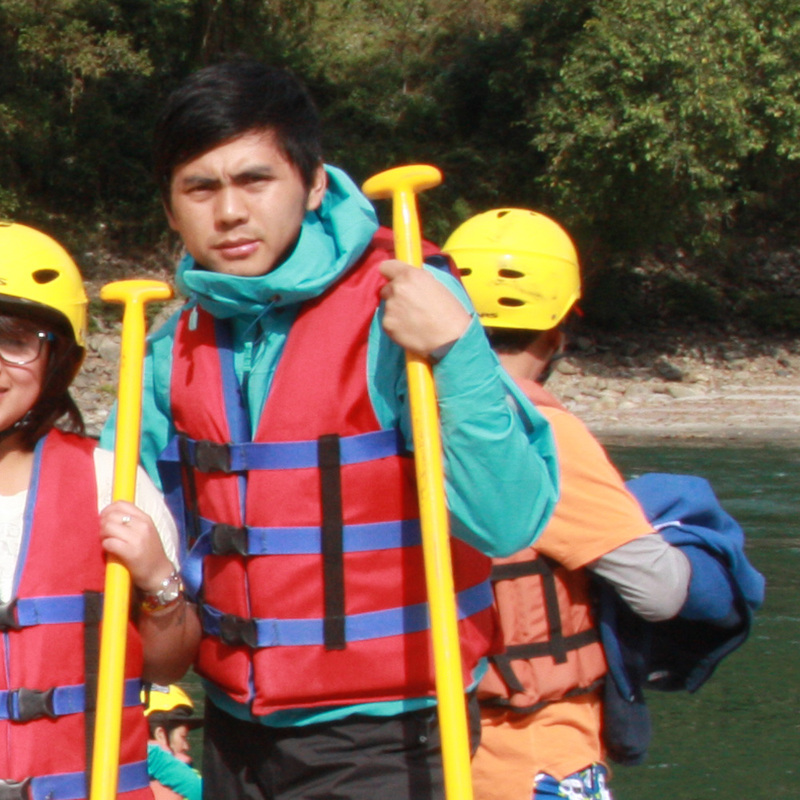 5 " " TID - 8736 (April 19-24,2015) Guide - Pema Our guide, Pema, and our driver Chimmi were both very good. They were both professional, helpful and pleasant. I very much enjoyed the entire trip. The Tiger's Nest was definitely the highlight of the trip. My one criticism would be of the food. Our guide, Pema, and our driver Chimmi were both very good. They were both professional, helpful and pleasant. I very much enjoyed the entire trip. The Tiger's Nest was definitely the highlight of the trip. My one criticism would be of the food. It wasn't bad, but it was always basically the same buffet. More opportunities to experience some different variety outside of a hotel restaurant buffet would have been nice. 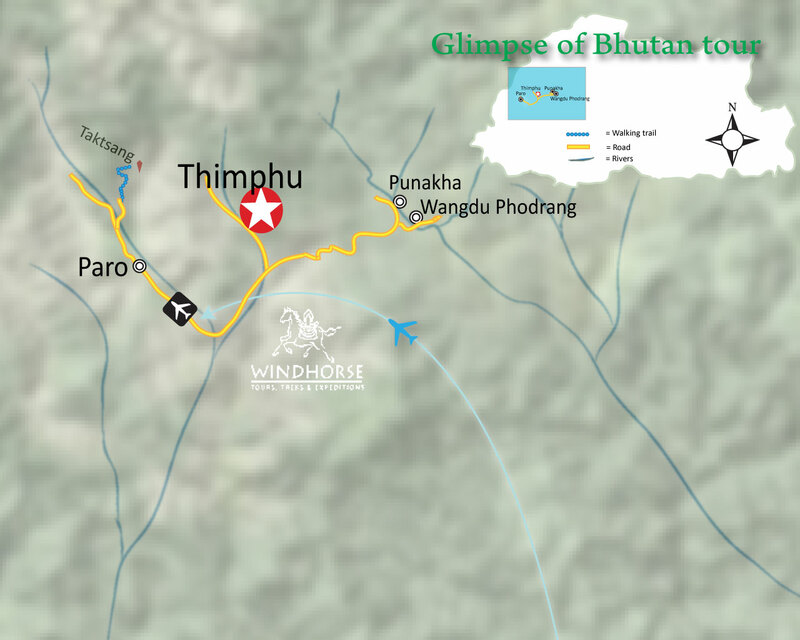 TID 8586 Glimpses of Bhutan (19 Oct to 24 Oct,2014) Dear Wind Horse Staff, I would like to thank all the Wind Horse staff for arranging a wonderful visit to the Kingdom of Bhutan. Although I have traveled extensively this was my first time to Bhutan. Having no experience in your country I did not know where to start. Fortunately through a series of questions Wind Horse was able to determine my area of interests and developed a tour that was customized to my desires. The length of the tour, and the locations we visited were arranged to meet my specific interests. This was very important to me as I was not interested in package tours that meet someone else’s needs. The six days in October allowed for a detailed visit to three different regions. On a future visit I would like to take more time and explore further to the east. Through a couple of detailed emails I was provided with helpful information. What to bring, what to wear, visa arrangements, contact information, a packing checklist and numerous other general suggestions all helped to make this a trouble free visit. The pre-payment procedures, visa support, hotel check in and so many other details all were taken care of with extreme professionalism. Kinley Wangmo, my tour guide, was great. Her knowledge of Bhutan and the sites we visited made all the difference. 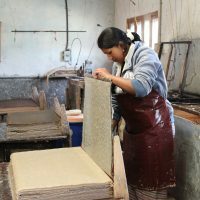 Every day she was on time, willing to make adjustments when required, and her knowledge of Bhutan culture was a big part in making this a successful visit. From the moment she picked me up in Paro until I was dropped off for departure she was on-top of every detail. Her personal experiences in parts of Bhutan outside the capital city were most interesting and I thank her for sharing them with me. Please tell Kinley kuzuzangpo for me and thank her for all her assistance. Bhutan is a wonderful country and a “once in a lifetime” place to visit.I would like to wish all of the Wind Horse staff the very best in the future. Dear mr. Jambay I'm home since a week now, and finally I found some time to send this email, in order to say thank you for your services and for your patience and assistance with my needs. Everything with the program went smooth and my trip and what your agency and you have done was above my expectations. Kencho, your guide, and your driver (sorry, I don't remember his name) were invaluable in their help. They stayed beside me when needed but never forced me to do anything I don't wanted to. This is extremely important in my opinion; I'm a seasoned traveler; I've been in many countries in the word and sometime guides and drivers try to push you to do something for their profit or to work less and this is extremely annoying. Kencho is really a good guy. He's not only a good guide, very informative, but he's also acted like a friend, dispensing good advices on what to do and were to go, without being pushy. Please say thank you again to him for me. I can't imagine a better guide and a better travel mate. I hope for him and for the driver good luck for anything they hope for their life and their families Bhutan is a wonderful country, its colture and its people will forever sit in my heart in my mind. May be in the far future I'll be back with my wife and for sure I'll use your services again. In the meantime let me know if I can do something for you: will a review on Tripadvisor (where I've posted many reviews and so I'm credited) help you? TID 8520 Glimpses of Bhutan (May 05 - May 10,2014) We just got back home from our full trip so I apologize for the delay. 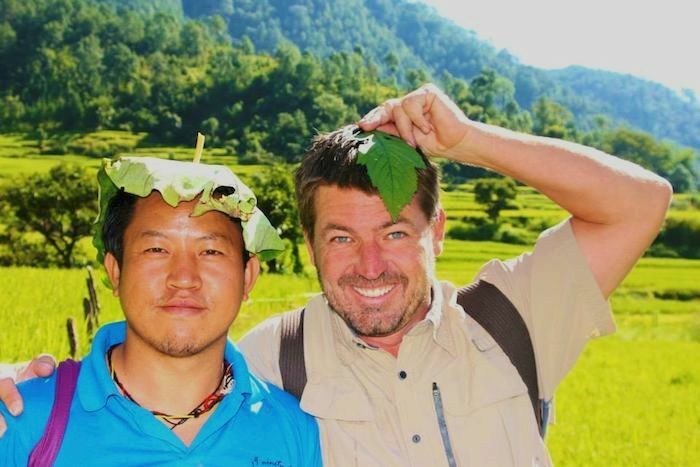 We had a great time in Bhutan and Namgay did an excellent job as our guide. He set up an extra hike for us that was really fun. As we've talked about our trip we have a really positive opinion of your company and Bhutan. Our only real negative experience was the amount and condition of the stray dogs. I realize that problem is largely out of your control but anything that can be done to help the situation would be worthwhile. Window to Bhutan TID 8510: April 28 - May 04,14 Dear Ugen, Namgay, and Anand, Thanks to all of you for making our trip to Bhutan so special. My husband is finishing up his last few days at the hospital in Thimphu and has found his month's volunteer work to be rewarding and hopes helpful as well. I feel fully re-integrated into my life in the US but remain deeply moved by my experience there. In your previous email you said you would be pleased to hear from me about our experience overall which I am happy to do. The first thing that comes to mind is that we had the most special person, Tashi Gyeltson, guiding us. The itinerary you worked out for us was perfect. Our days alternated between exertion and rest either at a restaurant, picnic or relaxing in the car. Tashi's knowledge about various sites, geography, botany and wildlife was deep. He shared information with us both in the car to make the ride interesting and as we hiked. He prepared us for what we were going to see beforehand with background information about the history of various temples and monasteries. When at the sight he pointed out things we might have missed and reported the significance of various things. He recounted myths, and since I am a Buddhist he made sure I felt welcome doing prostrations and receiving blessings. Tashi's interest in people was charming. 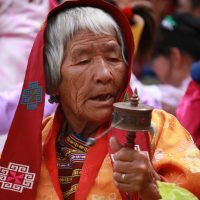 There was not an elderly person sitting at a prayer wheel or young child playing alone he did not briefly speak to. We grew very attached to him and he was willing to talk about himself, his life and his family. I would like to think he felt the same attachment to us but he has many good memories of various clients so perhaps we weren't as special as we felt. It is an unusual situation...to spend many days with people and then perhaps never see them again. But we cannot say enough about his knowledge, his way of imparting it, his personality, sense of humor and thoughtfulness. Dawa was a perfect driver...careful, collected, unruffled, extremely polite, and helpful. The car was always clean and filled with petrol while we were otherwise occupied. The only time he was a bit late picking us up was when he had a flat tire! Other than that, they were there when expected and we were always ready, excited at the prospect of the day. When we met him after being in Thimphu a couple weeks later it was like seeing an old friend. We were happy with all of our accommodations and food. We learned enough about the cuisine to be able to be adventurous when buying at the market to cook for ourselves or visiting Bhutanese restaurants. The lodge in Haa was very special and the chef prepared the best food we had anywhere. Not only was it delicious, it was presented in an artful manner. The people we interacted with were helpful, kind and unfailingly polite. Tashi and Dawa were wonderful company the entire week and we felt well cared for. It was effortless for us to be happy and accommodating in their company. Namgay, special thanks to you for helping me change my reservation and listening to my tale of woe. It was a smart thing for me to return I was truly needed at home. I enjoyed 12 hours showering (HVO provided house ran out of water a few days after we arrived), sleeping and eating at the luxurious hotel in Delhi and ended up catching Lufthansa flights home at 2:35 the next morning. While in Thimphu I asked directions to a bank from a gentleman...we ended up spending the entire day together. A few days later he met David and we all drove to visit Cherie and Tango monasteries. He took us home to meet his family and last week he and David ate dinner together one last time. 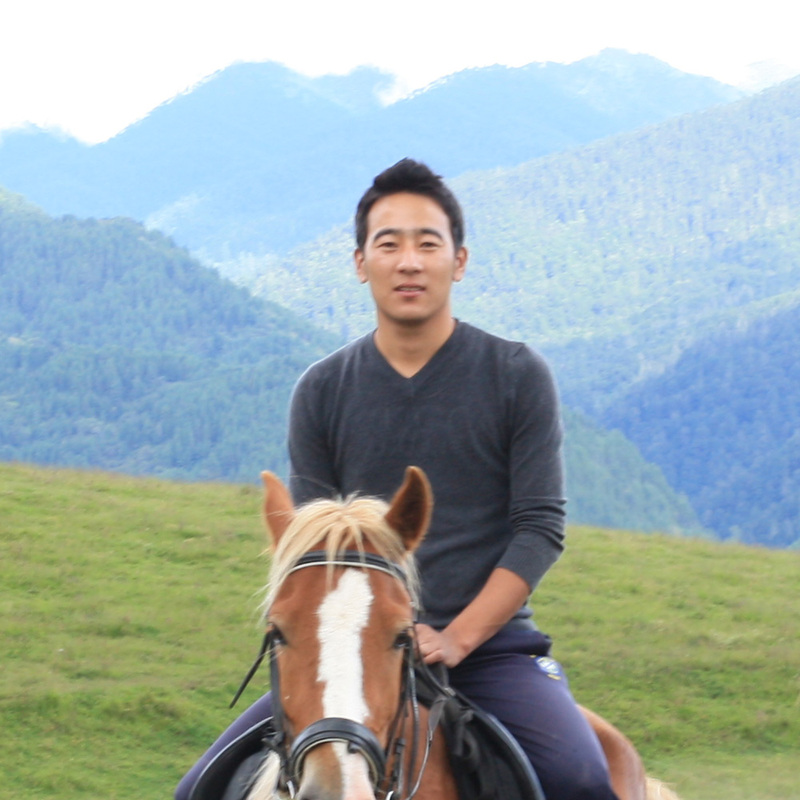 His name is Gem Tsering and he is executive director of GAB. He was interested in my brother's books so I hope to send him one and include something for Tashi which he would deliver to your office in Upper Motithang. Thanks to all at Windhorse. We will recommend you highly to anyone thinking of visiting your most special country! 5 " " Hello Jambay and Ugen, we have just returned from Bhutan and wish to thank you for a very enjoyable and well organized trip. Our guide and driver were both excellent. Bhutan is indeed a wonderful country Unfortunately I was remiss in paying the $25 outstanding to our guide and apologise for this. Hello Jambay and Ugen, we have just returned from Bhutan and wish to thank you for a very enjoyable and well organized trip. Our guide and driver were both excellent. Bhutan is indeed a wonderful country Unfortunately I was remiss in paying the $25 outstanding to our guide and apologise for this. Is it possible to pay by credit card. If so let me know the easiest way. It was also great to meet you both at the dinner in Thimphu. Dear Mr Thapa Thanks to our daughter Kirsi we have been able to make the trip to your beautiful country. We came home yesterday after a stay in Malaysia. I must say both our two guides and the driver were perfect!!! 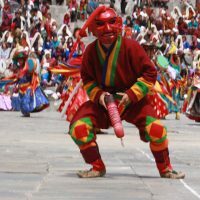 !We really hope you can keep the traditions in your country going for a very long time.We were very satisfied about the hotels and the programme except for the last hotel in Paro. We thought the room was rather outlived and the food was not so good. Sonam arranged for us another place for dining! Moreover the hotel was situated too far from the Centre. Besides that, we have no complaint if that was a complaint.We shall certainly recommend your organization but I am sure our daughter will do more and she is young! Best regards, also to Mr Jambay who was so kind as to come and meet us. Glimpse of Bhutan Hudson & Friends TID 751 (March 07-13,2014) Dear Anand - First and foremost all four of us wished to thank you all at Wind Horse for a most enjoyable and well run trip. We had a wonderful time and the care and kindness shown to us by Penjor and Sonam could not be improved upon. The hotels that you chose for us were excellent too, very comfortable and the food good. However, you asked me if there any things we could think of to improve your service in the future. Obviously you would not want to repeat our experience of the mini bus breaking down, so perhaps your drivers should check oil water tires etc. every morning before starting? On Bhutan’s bumpy roads 2 or 3 small cushions on each bench seat would help protect the boney bits and possibly seat belts or grab handles to help one from sliding around on the many sharp bends? Better still if you are buying new vehicles at any stage, if you could have ones with individual seats with folding arms such as the white ones that (?) Bhutan Travel Bureau have, it would solve all those problems and be far more comfortable and secure. One problem we did have was being able to hear what our guide was saying over the noise of the engine so perhaps the guides could sit in the back of the vehicles....... amongst the guests to overcome this? Lastly, Penjor was very helpful and patient in explaining the finer points of the Buddhist faith to us but we were still confused with all the different saints and stories. 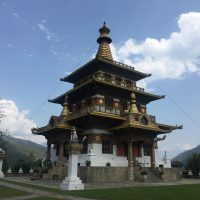 If we could have had an 'idiots guide' to Bhutanese Buddhism to print out and study before we came and be able to refer to while we were looking at all the Temples and Stupas it would have been a great help! I hope these points are helpful, and thank you all again for your excellent service. We will not hesitate to recommend you to our friends should any of them be lucky enough to be able to visit your beautiful country. INDIA BHUTAN TOUR (17 FEB - 14 MARCH 2009) MARCH 29,2009 LIFE IN BUFFALO HAS RETURNED TO NORMAL AFTER A SPECTACULAR TRIP TO INDIA AND BHUTAN. THE SMERDS AND THE NOBELS THOUGHT THAT YOU WOULD BE INTERESTED IN OUR COMMENTS ABOUT OUR EXPERIENCE. WE CANNOT SAY ENOUGH GOOD THINGS ABOUT OUR TWO GUIDES, BRIJ AND TSEHWANG. BRIJ WAS ATTENTIVE, PERSONABLE, INTERACTIVE AND ACCOMMODATING. HE WENT TO GREAT LENGTH TO MEET OUR EVERY WISH AND EXPECTATION. IN ADDITION, HE HAD ANNOYING TASKS AROUND ITEMS FORGOTTEN ETC WHICH HE DID WITH GOOD GRACE AND HUMOR. WE HAD NO CONVERSATION WITH OUR DRIVER IN INDIA BUT PEMA WAS SWEET, HELPFUL AND ALWAYS READY TO CARRY ON A CONVERSATION. HE IS AN EXCELLENT DRIVER. DESPITE THE TREACHEROUS CURVES MADE MORE THREATENING BY ANIMALS, WALKERS ETC., WE FELT CONFIDENT WITH HIS DRIVING. THE CAMEL TRIP WAS GREAT. THE CAMEL DRIVERS AND ACCOMMODATIONS WERE GOOD AND THE TIME IN THE DESERT RELAXING AND MEMORABLE. 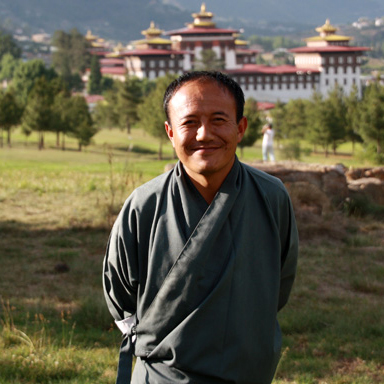 OUR TIME IN BHUTAN WAS ENHANCED BY HAVING TSEH WANG AS OUR GUIDE. HE IS KNOWLEDGABLE INTELLIGENT AND WAS WILLING TO SHARE HIS OPINIONS AND LIFE STORY WITH US. HE ALSO WAS %100 ATTENTIVE AND HOSPITABLE. HE INVITED US TO HIS HOME (WHICH WAS A REAL TREAT FOR US) AND BROUGHT ARA TO OUR FINAL DINNER WHERE WE ENJOYED A LITTLE CEREMONY WITH EGGS AND ARA – QUITE GOOD. WE WERE PARTICULARLY PLEASED THAT TSEH WANG WAS FLEXILE WITH OUR SCHEDULE. EXTRA HIKES WERE ENJOYED AND APPRECIATED.IN ADDITION TO OUR PRAISE, WE THOUGHT YOU WOULD BE INTERESTED IN SOME CONSTRUCTIVE SUGGESTIONS. (1) TIPPING INFORMATION ON YOUR “HELPFUL INFORMATION SHEET” WAS UNCLEAR. YOU SAY “TIP ABOUT $7-10 PER DAY FOR THE GUIDE AND ABOUT HALF FOR THE DRIVER OR OTHER CREW MEMBERS” . WE DIDN’T KNOW IF THAT WAS PER PERSON, PER COUPLE, PER GROUP! WE ASSUMED IT WAS PER COUPLE AND TIPPED ACCORDINGLY. IN FACT, TIPPING WAS A SOURCE OF ANXIETY. WE WERE CONSTANTLY WONDERING IF WE SHOULD LEAVE A TIP IN THE ROOM FOR THE MAID, PAY THE PORTERS, LEAVE MONEY FOR THE WAITRESSES AT THE END OF A STAY. HOW MUCH TO LEAVE WAS ALSO AN ISSUE. OUR GUIDES WERE ALSO NOT SURE. IT WOULD BE HELPFUL TO FUTURE TOURISTS IF YOU OFFER SOME GUIDANCE BEFORE THE TRIP. (2) PEOPLE TRAVELING DURING COLD WEATHE SHOULD BE ADVISED IN WRITING TO BRING WARM CLOTHES THAT COULD BE LAYERED – LONG UNDERWEAR WAS INVALUABLE FOR US. WIND BREAKERS FOR LATE AFTERNOON WIND ARE ALSO INVALUABLE. (3) HIKING BOOTS FOR TIGER’S NEST COULD BE SUGGESTED. THEY WERE HELPFUL. (4) A FLASHLIGHT IS ALSO A GOOD SUGGESTION. IT CAME IN HANDY ESPECIALLY IN GANGTEY AS WELL AS AT THE CAMEL CAMP. (5) INFORMATION CONCERNING ALTITUDE AT EACH STOP WOULD ALSO BE HELPFUL. THANK YOU FOR YOUR HELP IN PLANNING OUR TRIP. IT WAS 100 %100 HELPFUL. 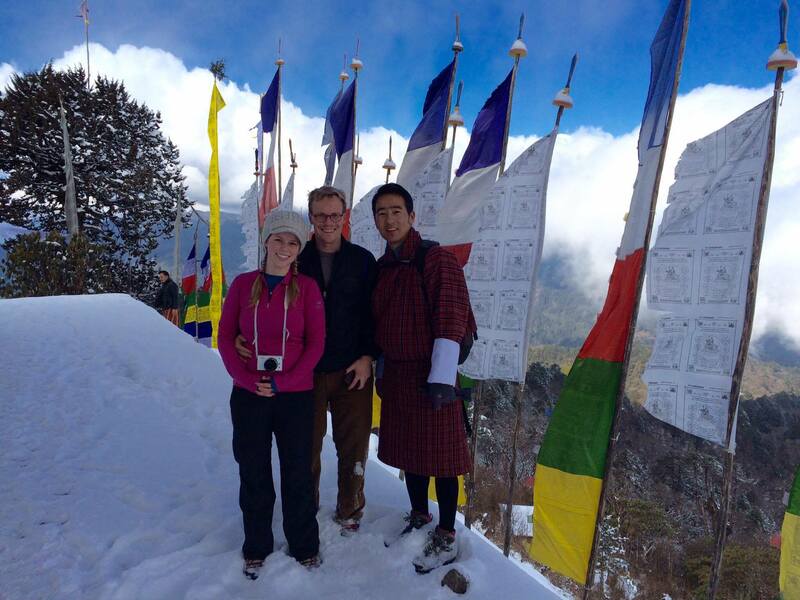 Dear Kinga We would like to thank you and Ugen for a wonderful time in Bhutan. We loved your country and the friendly people there. Thank goodness there are still places like Bhutan to remind us Westerners of the values and priorities we have forgotten. Gudu and Jambay were perfect. Jambay even made sure to order our favorite local foods for our last lunch. Truly touching. We were also very impressed that you took the time to have lunch with us and very much enjoyed meeting you. We will recommend Windhorse to our friends for sure. I provided Gudu and Jambay with a CD with the pictures I took of them during our trip but forgot one of Jambay at the Art Cafe in Thimphu. I would be very grateful if you could please e-mail Jambay this picture. A typical farm house with locally made Chimmney at centre. Giant Buddha statue overlooking Thimphu Valley.